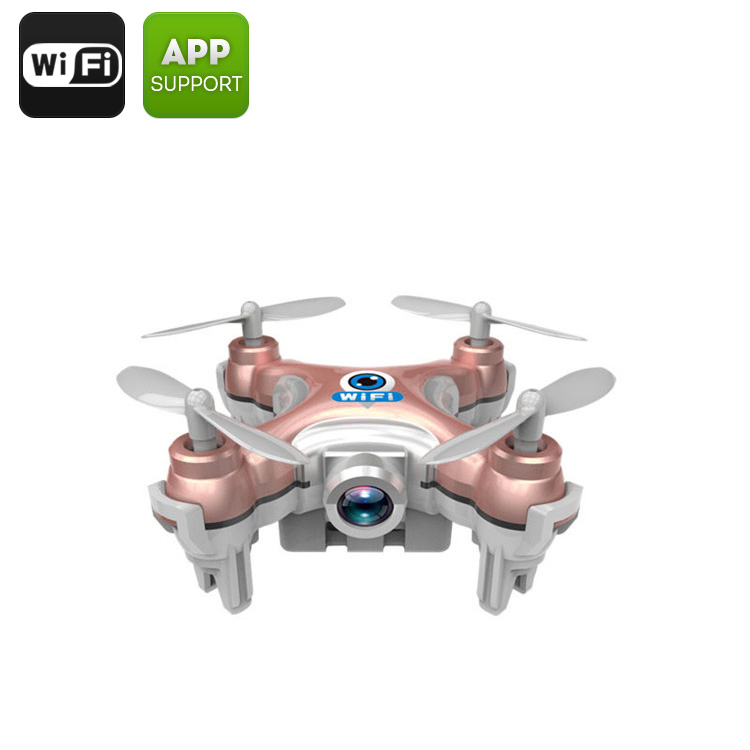 Successfully Added CX-10W Mini Drone - 2.4GHz Wi-Fi Control, 15 to 30M Range, 6-Axis Stabilizing Gyro, Android + iOS Support, FPV (Rose) to your Shopping Cart. Get ready for take-off with the CX-10W Mini Wi-Fi Drone – a quadcopter that keeps it all simple, portable and affordable. 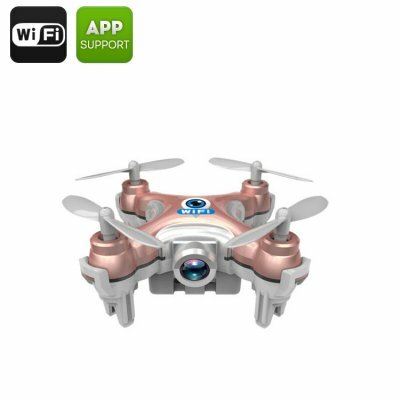 At only 62x62x25mm and weighing just about 17 grams, this mini quadcopter will bring you lots and lots of fun with no financial or other burdens! See the world from a bird’s view with the CX-10W mini drone that is compact, lightweight, super easy to fly and totally affordable. If you are ready to explore drone photography or simply think it would be lots of fun to see the world from up high, this mini quadcopter is just what you need. Perfect for entry-level pilots, the drone comes equipped with a 0.3-megapixel camera and will be able to take some cool photos from the sky and offer you a first person view. The mini drone is super-easy to control and you will only need to download an app from the Play Store or App Store to get started. Thanks to its small size, the CX-10W Mini Wi-Fi Drone can be used in a variety of situations where bigger models would not be able to do a thing. Feel free to explore its capabilities to the fullest and go where other quadcopters can’t go! You can control the mini drone within 15-30 meters away and easily charge with a standard USB cable (included). Its small size, smooth and easy operation and lots of potential applications make the CX-10W Mini Drone a great choice for outdoorsmen, amateur pilots and everyone with an adventurous streak! The CX-10W Mini Wi-Fi Drone brought to you by the leader in electronic devices as well as wholesale mini drones..